ticket submission either by email or web form. auto-response to customers. automatically send a message to the sender that the ticket was received. assign tickets to staff, and allow to transfer them when escalation is necessary. keep a history of all tickets. here the customer enters his/her email address, and the ticket ID generated by the auto-response email. 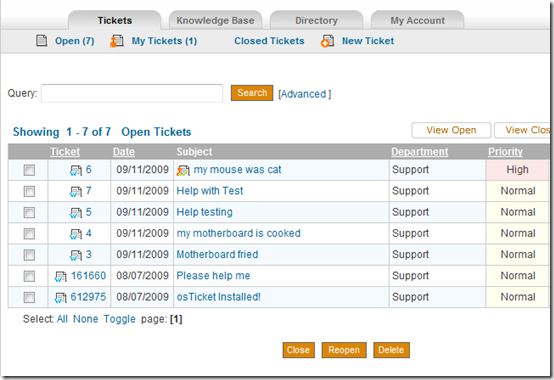 as you can see from the screenshot, OSticket also features a knowledge base module. 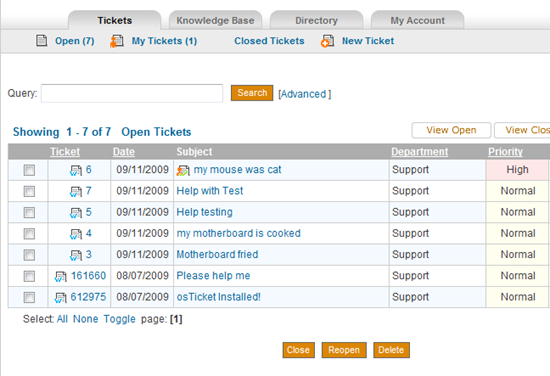 and when tickets are too much, you can easily search for old tickets using the quick search button. 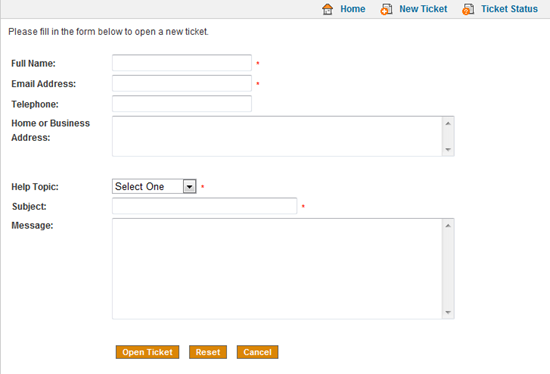 overall, OSticket is a very simple and efficient ticketing system. I would recommend it to anybody wanting to set up a basic web support system. with OSticket you can be up and running in a few hours.